What Naomi Lamoreaux has termed “The Mystery of Property Rights” has two aspects. On the one hand, secure and stable property rights are essential to economic development and growth. On the other hand, a set of property rules that cannot evolve in the face of technological and social change may be unable to adapt in ways that facilitate progress. In this context, consider the United States. The United States is an economically successful country with well-respected enforcement of property rights – so much so that it serves as a destination for capital fleeing less stable regimes. Yet the United States also has a record of making abrupt alterations to property rights (creating losers as well as winners) in the face of new technologies and/or the availability of new resources. When a parcel of land is taken via eminent domain for a “public use,” its owners are entitled to “just compensation.” These two requirements (public use and just compensation) are written into the U.S. federal constitution and the constitutions of most states, and ostensibly check the ability of governments to take private property. In fact, each requirement has proven sufficiently malleable so as to allow a broad range of takings. Although debates over the proper definition of public use have generated controversy, unhappiness with how just compensation is determined has also sparked much concern. That unhappiness became particularly pronounced in the 19th century when a practice known as the benefit offset was employed (see Fleck and Hanssen 2010). The idea behind the benefit offset is simple: If an owner has land taken for a public use via eminent domain and the value of the remaining land rises as a result, the taker can “offset” required compensation by that rise in value. For example, assume a farmer loses 10 of his 100 acres to a railroad, the pre-railroad price of farmland is $100 per acre, and the price rises to $105 per acre when the railroad lays its line. The farmer is due compensation equal to $1000 (10 x $100) for taken land, less $450 (90 x $5) for the increase in the value of the remaining land, summing to a net payment of $550. The benefit offset was one of several “expediting doctrines” used to promote public infrastructure projects – highways and canals – in the early 19th century. The “expediting” was justified by the alleged importance of the projects to the general public. 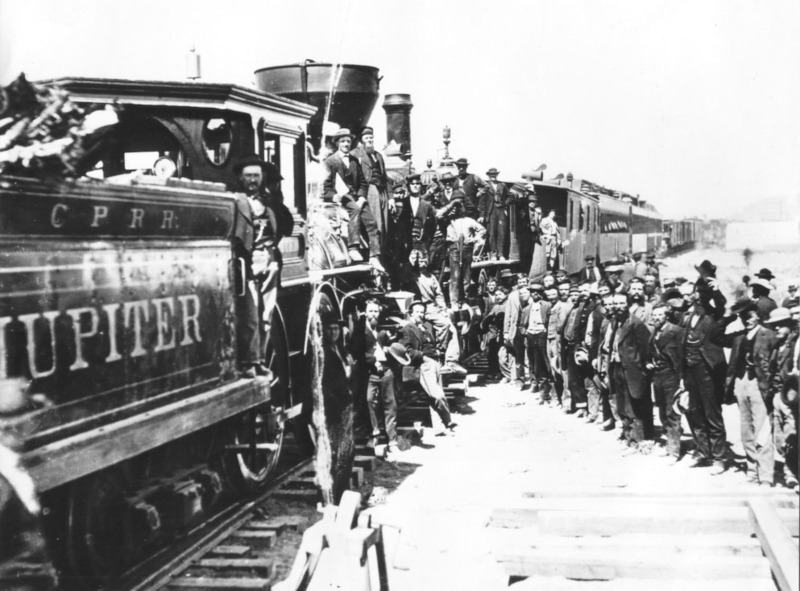 The benefit offset was also used to subsidize railroad building. Why subsidize railroads, and if doing so, why use the benefit offset? Various explanations for a subsidy are possible, but holdup problems were likely to have been of concern. Infrastructure projects entail large sunk investments, with returns generated over a period of years. Nonetheless, the benefit offset seems a roundabout form of dealing with a holdup problem. One possible explanation is that the benefit offset enhances the incentive to choose the most valuable route (in terms of willingness of shippers to pay). Rail rates (as with rates for canals or highways) were regulated, which may have prevented companies from capturing the full value of a line through pricing (this would be a form of holdup). As a result, a rail company will choose the cost-minimizing route, which may not be the value-maximizing route as landowners are concerned. The benefit offset may have helped overcome this problem. As Lone Mountain Fellows at PERC this summer, Robert Fleck and I are taking a closer look at this issue. By examining how the benefit offset was used and when it changed in different states, we highlight factors that underline the adaptability of property rules—but which don’t threaten the security promised by the property regime. « Does Burning Ivory Save Elephants?